(Muskegon, MI; December 30, 2013): Mike Gluhanich, Chair of Mercy Health Muskegon Board of Trustees, and Roger Spoelman, Regional President and CEO of Mercy Health, have announced the permanent appointment of Greg Loomis as president of Mercy Health Muskegon effective January 1, 2014. Loomis has served in the interim role since November 2012. “I am delighted that Greg has accepted the position,” said Mike Gluhanich, recently retired president of Geerpres, Inc. “Greg has shown he is an outstanding leader. He is a trusted and experienced health care executive who has the knowledge and skill to ensure Mercy Health Muskegon, which is nationally and regionally recognized for high quality care, will continue to be a first-class organization. 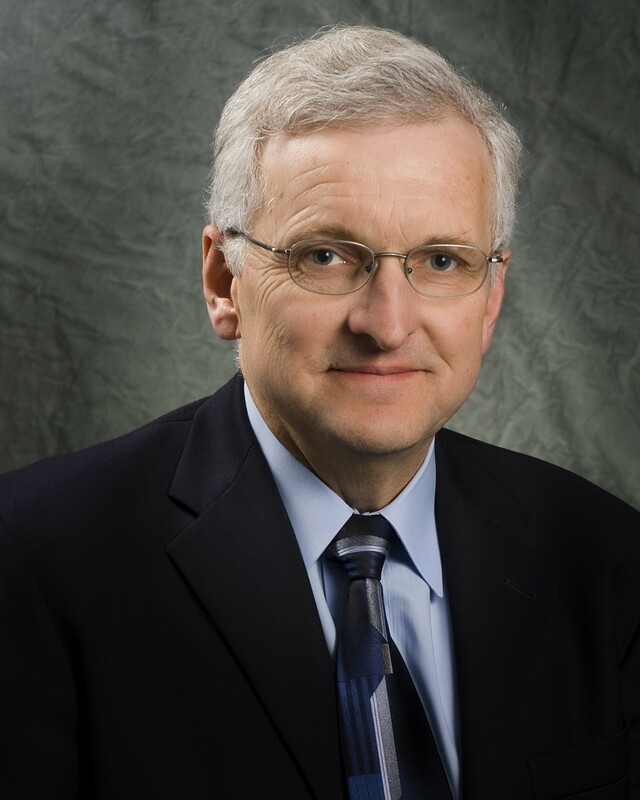 His thoughtful and decisive leadership is what this position will demand and we are fortunate to have him.” Loomis began his early career at Hackley Hospital, and then eventually served as vice president of professional services at Muskegon General Hospital. Most recently he served as interim president and chief operating officer for Mercy Health Muskegon. Loomis’ hospital leadership experience spans more than three decades and the three legacy Muskegon hospitals. He was a member of the local leadership teams that successfully integrated Muskegon General Hospital and Mercy Hospital in 1995 and Hackley Hospital and Mercy General Health Partners in 2008. Roger Spoelman, added, “Greg is a natural choice for the position. A smooth transition is important at this time as the next several years will be demanding. With the recent appointment of Bill Manns as president of Mercy Health Saint Mary’s in Grand Rapids, we knew we had the right person in place in Muskegon to complete an outstanding regional leadership team. Greg’s talents, health care expertise and knowledge of the lakeshore community are unmatched.” Loomis said of the appointment, “I am pleased with the board’s confidence in me and excited to have the opportunity to continue to lead Mercy Health Muskegon into the future as we work to improve our facilities and our patients’ experience. My mission is to continue to deliver excellent health care, provide a strong focus on primary and specialty care and ensure Mercy Health Muskegon remains an affordable, accessible and high quality health care system for years to come.” Loomis’ administrative experience as chief operating officer includes oversight of clinical and support services and serving as the accountable executive for the implementation of the electronic health record called Project Genesis in 2004 and 2011, leading several functional teams including Human Resources, Information Systems, Service Excellence and most recently guiding the development of process excellence and acute care facility plans for Mercy Health Muskegon. Loomis holds a master of business administration (MBA) from Seidman School of Business at Grand Valley State University. Loomis and his wife, Mary, live in Muskegon. About Mercy Health Mercy Health is a multi-campus health care system dedicated to providing highly personalized care, excellent access to primary care providers and specialists and a more informed patient experience. Mercy Health serves West Michigan and the lakeshore with five hospital campuses, 58 physician offices, more than 1,300 medical staff physicians, more than 800 hospital beds and 7,200 associates, and hospice, home health and long term care service offerings. Mercy Health Physician Partners, our multi-specialty physician network, employs a total of 491 Physicians and Advanced Practice Professionals in Grand Rapids, Muskegon and the lakeshore. The system includes leading teaching hospitals, and renowned clinical leadership in oncology, cardiology, orthopedics, and neurology. Mercy Health Saint Mary’s is a Magnet®-recognized hospital. Mercy Health was named in West Michigan’s 2013 101 Best and Brightest Companies to Work For™ by The Michigan Business & Professional Association (MBPA). Mercy Health is a regional health ministry of Livonia, Mich.-based CHE Trinity Health, one of the largest multi-institutional Catholic health care delivery systems in the nation. It serves people and communities in 21 states from coast to coast with 82 hospitals, 89 continuing care facilities and home health and hospice programs that provide nearly 2.8 million visits annually. Visit us at www.MercyHealth.com and www.MercyHealthPhysicianPartners.com and find us on Facebook at www.Facebook.com/WeAreMercyHealth.